Indianapolis. Thank you to our student members who provided this valuable service! 2019 IPA Government Affairs Chair Sean Samuels, Psy.D. 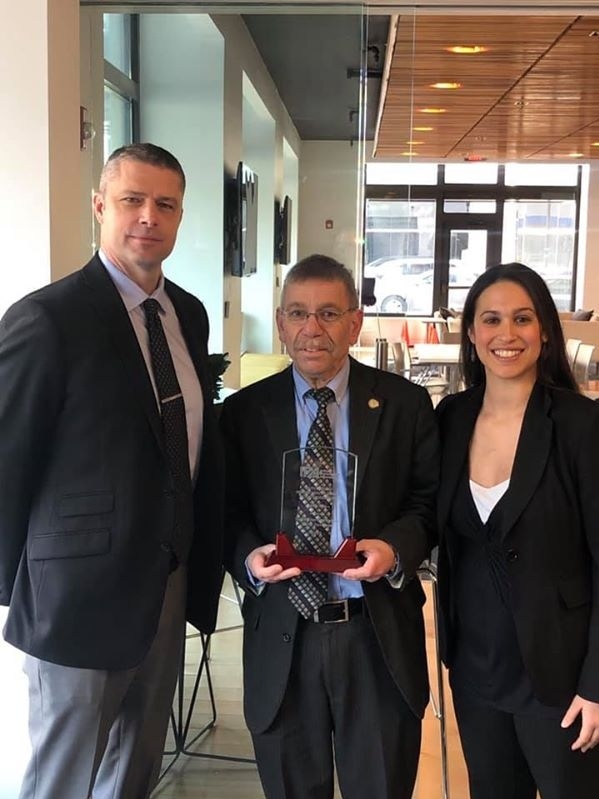 and 2019 IPA President Maria Hanzlik, PsyD, HSPP presented Rep. Steve Davisson with a Legislator of the Year Award for supporting mental health initiatives and psychologists at the first IPA Legislative Day on February 26th, 2019. 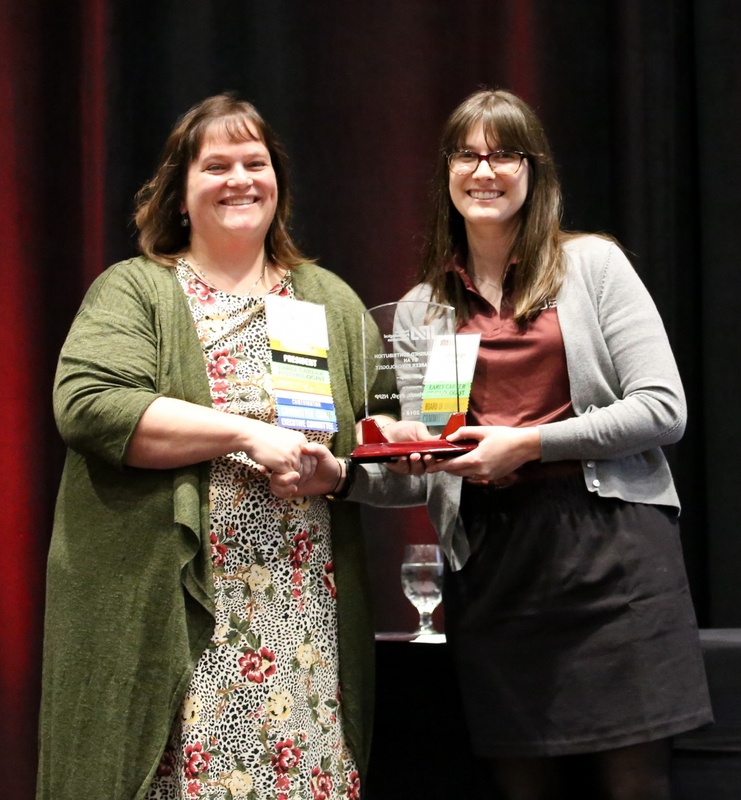 2018 IPA President Melissa Butler, Ph.D., HSPP, shown wiith 2018 Distinguished Contribution by an Early Career Psychologist Award winner Ashleigh Woods, Psy.D., HSPP. 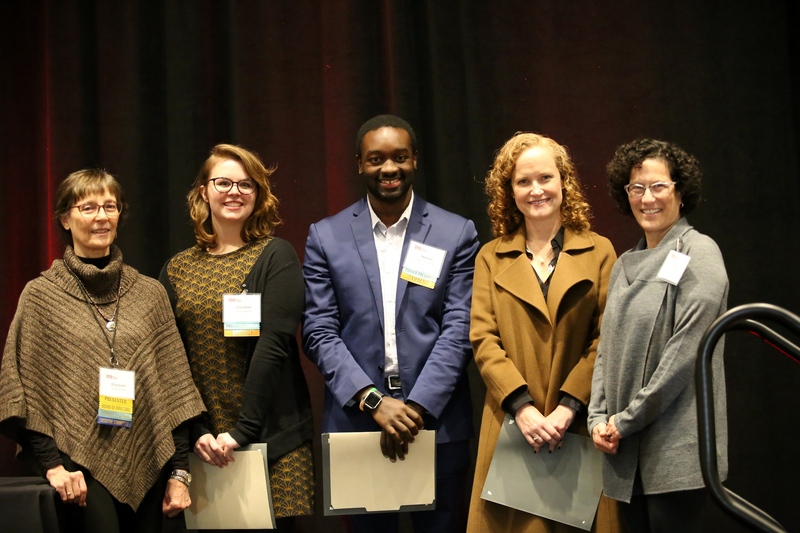 Ashleigh was given her award at the 2018 IPA Fall Conference and Annual Meeting. 2018 James D. Linden Community Service Award recipient, Justice Steven H. David, 106th Justice of the Indiana Supreme Court is shown receiving his award for advancing the aims and purposes of psychology as a science and/or a profession by dealing with the public. 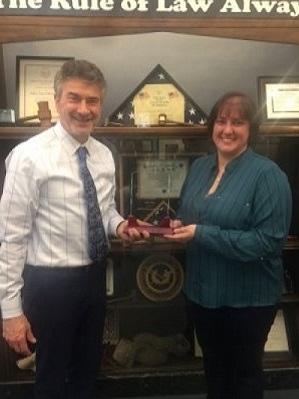 Justice David was presented with his award by IPA President-Elect Aarika White, PhD, HSPP on Wednesday, March 20th, 2019. This award was established in 1986 to encourage better media coverage of psychology and mental health topics. It is presented periodically to a representative of the media who has contributed accurate and compelling coverage of psychology and mental health topics. This award is presented periodically to a non-psychologist professional for outstanding contributions to the furtherance of the aims and purposes of psychology as a science and a profession. The intention in the term “professional” should be given the broadest possible interpretation. Presented to an individual who has made an outstanding contribution to IPA and its mission to promote and serve psychologists in Indiana. This award was established in 2012 to recognize a psychologist who has made a distinguished contribution to the science and/or practice of psychology in Indiana during the first ten years post doctorate degree. Created in 1966 and renamed in 1984 in honor of the late James D. Linden, this award is presented periodically to an individual who has advanced the aims and purposes of psychology as a science and/or a profession by dealing with the public. Such an individual may be a psychologist, a non-psychologist, or a layperson. Examples of the types of service for which this award is made may include outstanding public education effort relating to psychological principles or outstanding political leadership on behalf of the psychological welfare of the people. This award is clearly distinguished from the Allied Professional Award by the necessity of direct contact with the public. Created in 2010, this award is presented to a psychologist who has served as an outstanding mentor to other psychologists while practicing in Indiana. Awarded to a legislator who has been an outstanding mental health leader in the Indiana legislature. Created in 1963 to memorialize the life and work of the late Gordon Barrows, this award is presented to an Indiana psychologist, living or deceased, who has made distinguished contributions to psychology in Indiana over a considerable period of time. The recipient need not be a resident of Indiana at the time the award is presented, but his/her contribution must have been made while in state residence. The term “distinguished” should be construed in its most absolute sense; this award is not given simply for long, faithful service. Established by the American Psychological Association (APA) and is designed to recognize organizations that understand the link between employee health and well-being and organizational performance through implementation of workplace practices that create a positive work environment. There is a detailed application and review process. Statewide winners are eligible for a national award through APA. Established by the Indiana Psychological Association (IPA) in 2015. This award is presented to a student member of IPA who has made an outstanding contribution to the field of psychology through leadership and advocacy in IPA and broader involvement on a local, state, and/or national level.